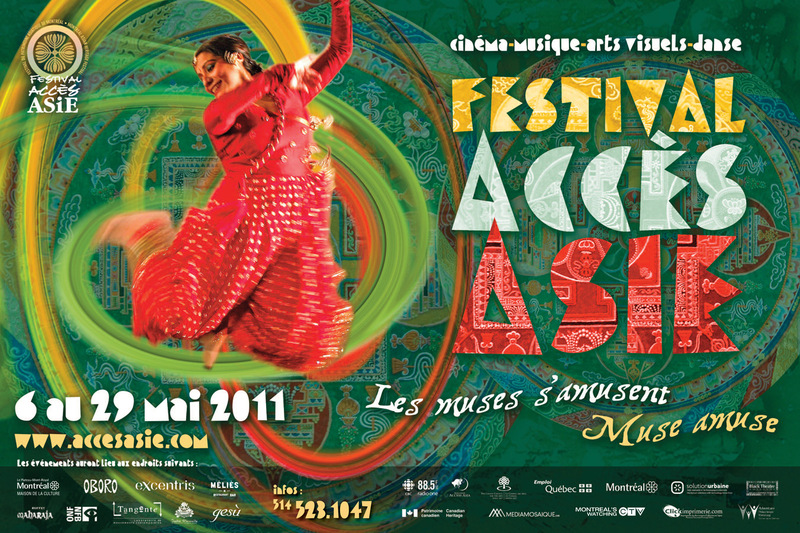 Montreal – This year, during the month of May, officially declared Asian Heritage Month since 2000, you will be vibrating to the rhythms of Festival Accès Asie’s many activities that unite artists from diverse Asian cultural communities from all over the country. This new edition of multidisciplinary art performances will be held from May 6 to 29 and will take place in seven different locations. With the theme « MUSES AMUSE », the festival will feature 25 artists from Iran, Tibet, India, Japan, South Korea, China, Vietnam, Canada and of course, Quebec. The theme is a nod to the muses that bring inspiration and reflection to the artists, allowing us to celebrate diversity in the expression of the arts. Festival Accès Asie will open with the exhibition Rencontres : zìshì at maison de la culture du Plateau Mont-Royal, showcasing works by Michel Beaucage and Nie Jian Bing. The opening will also be an opportunity to discover the soothing Guzheng sounds of musician, Chih-Lin Chou. Classic Indian Kathak dances by Sudeshna Maulik and the tabla virtuoso, Shawn Mativetsky, will be equally honoured and from music and dance to the culinary delights of India, you will be able to participate in a naan and chai making workshop. The week will continue with film screenings by four young talented Iranian filmmakers at the NFB CineRobotheque. These screenings will showcase the creative forces of filmmakers from Iran, and the unprecedented booming of this industry in the last two decades. Using the art of puppetry and digital technology, author and scenographer Helen Yung will present an original theatre piece without actors titled “Gulliver’s Travels”. Technology will also bring different artists from four provinces across the country via videoconferencing in Montreal, Calgary, Vancouver and Toronto. In Montreal, you will get to watch hip hop performances by Michel Lim, Erich « Ddimplz Jack » and Sandy « Did » Béland; internationally renowned Sudeshna Maulik, and tabla player Shawn Mativetsky and finally, Iranian musicians Kiya and Ziya Tabassian from the Constantinople music ensemble. The festival continues with a contemporary X-DANCE: Montreal-Seoul-Tokyo Tour. Choreographers from Montreal with Erin Flynn, from Japan with Maki Morishita and from South Korea with Young-Cool Park and Jung-Ju In will dance in Tangente’s 2nd international edition. With traditional Tibetan songs, a sand Mandala and a lecture and public discussion in the presence of the monks and a Jesuit priest from Montreal, you will be introduced into Tibetan culture. The 16th edition « MUSES AMUSE » is full of delightful surprises, dazzling performances and festive for the public’s pleasures to discover what Asian cultural communities have to offer. 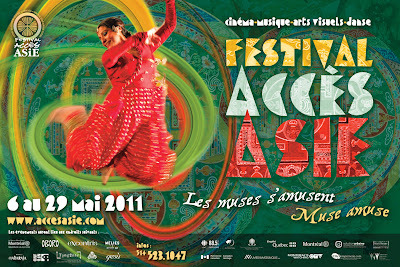 Come and enjoy the rich sounds, rhythms and pleasures of Asia!